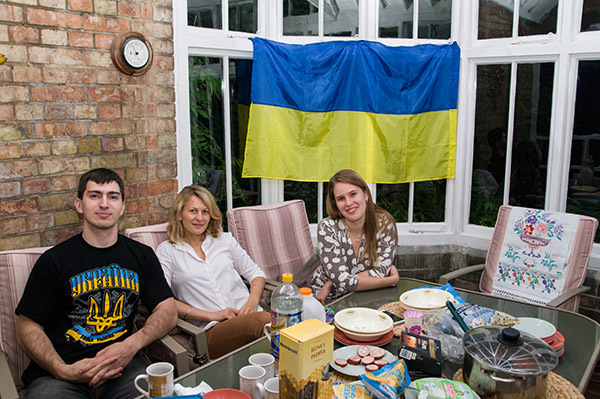 We celebrated the 22 years of Ukraine's independence with traditional Ukrainian food and more modern additions. It was a reunion for those staying in Oxford in summertime. Price: £2 members, £4 non-members. Essay crisis? Exam fatigue? Or you just want to celebrate the end of Trinity Term? Then come to OU Ukrainian Society End of Term BBQ! We will have freshly made burgers and veggie options as well as games to play. This was a perfect opportunity to have a chat with your Ukrainian peers whom you haven't seen for months! 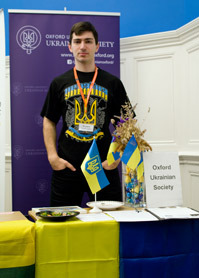 Andriy Maksymovych, an active NGO activist hailing from Lviv, Ukraine, comes to Oxford at an invitation of the Oxford Ukrainian Society to speak about the Race for Children, an innovative award-winning project he organised in 2006 inspired by his volunteer and student exchange experiences in Canada and the USA. Within the project, which became the first in the CIS nation-wide charitable marathon, Andriy ran with a friend 1,500 km across Ukraine in 41 days to promote social and corporate responsibility and raise more than 55,000 USD for equipment for maternity hospitals in his native region of Lviv. 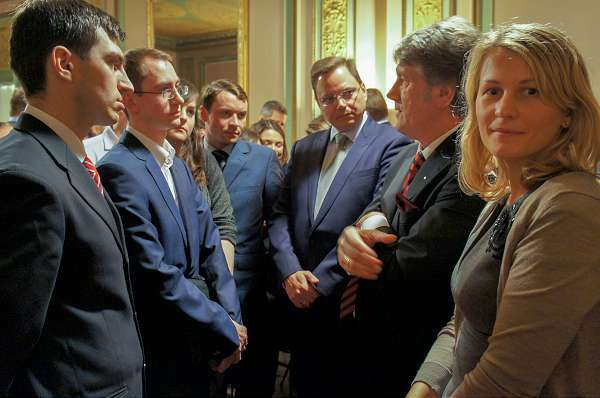 Endorsed by private and public sector, celebrities, Race for Children was recognised by multiple awards and was featured in the Best Practices of the Youth Policy in Ukraine. 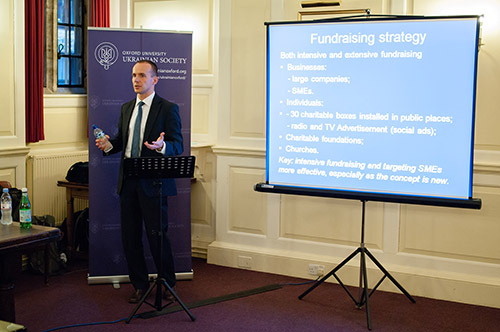 In the lecture Andriy will share his experience of all aspects of project’s evolvement and organisation, team building, PR & fundraising strategy and logistics. He will speak about the challenges he and his team faced during the organisation of an innovative project in a developing country. He will also relate about his current work at the European Bank for Reconstruction and Development in London. Finally, Andriy will bring his Olympic Torch with him, so if you have not had a chance to see it during the Olympics – this is your chance! This is a chance to relax from the building up pressure of Trinity Term and have fun with your peers. We are going to meet at the Balliol College lodge. Come and join us in celebration of the Victory Day! Royal Oak is known for good food and we expect a lot of fun. Contact Alex (07580 665461) if lost. informal talk this Thursday, at the Victory Day celebration in Royal Oak. Ukrainian TV-channel 1+1, in cooperation with the OUUS, filmed a news episode on the life of Margaret Thatcher in Oxford. It was broadcasted on 14 April 2013 in the news program TSN. The text and video are available online at the TSN website (Ukr). Baroness Thatcher, one of the most prominent prime-ministers in UK history, studied chemistry at Somerville college in Oxford in 1943−1947. Come along to the international celebration of the beauty, charm and strength of women. The 8th of March is one of the national holidays in Ukraine, Russia and other Eastern European countries. We are following the tradition of bringing friends together to celebrate the day. We will meet you at the St Cross College Bar which is famous for the best collection of whisky in town. Note: the talk has been postponed until Trinity Term due to speaker's circumstances. In 2006, after studying on a scholarship as an exchange student in the United States, Andriy initiated, organised and ran Race for Children, a charitable marathon aimed at raising money for maternity hospitals in Ukraine. This was the first project of such kind in Ukraine; the race took 41 days to complete, covered ca. 1500km, and raised ca. USD 55,000. Money was used to purchase critically needed equipment for newborns, and it now helps saving lives of those children that were born prematurely. For his activities, Andriy was selected to bear the torch for the Olympic Games in London. In this talk, Andriy will talk about his fundraising, Ukraine-related activities and his work at European Bank for Reconstruction and Development. 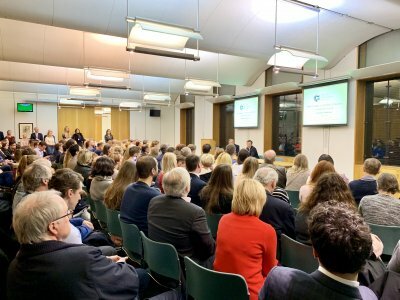 "UK­−Ukraine Relationships from a Personal Perspective"
Come and join us for a lively chat about everything and a discussion of the new term, new plans and new hopes. The venue is known for good pizzas, and on Thursdays they come cheaper than usual. Snacks will be provided, and the event is free for members of the Ukrainian Society, £1 for members of the Belarus Society and £2 for all other guests. Contact Lena Seminog for more details. European Affairs Society organizes a European Christmas party! They have booked the Merton College MCR for 5 pm on Saturday 24th and are planning to make mulled wine, bring bakery, decorate and bake some Christmas cookies, there'll be christmassy music, perhaps a few carols, etc. Please note there will be a small charge (2£), unless you bring something Ukrainian special. 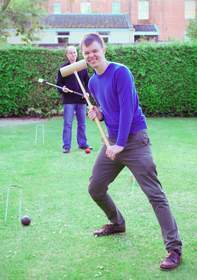 Contact person: Benedikt Weiss (EAS), benedikt.weiss@ccc.ox.ac.uk, Alex Zhurakovskyi (OUUS), oleksandr.zhurakovskyi@chem.ox.ac.uk. We will meet at 8 pm at the entrance to the New College MCR (St. Cross Rd, New College Sport Grounds and Weston Building). Those coming later, please use the back entrance through the balcony. Put it in your diary now: the night promises to be full of merriment, friendship, regional music and liquid delights! This event is an initiative of Oxford Belarus Society. All members of the Ukrainian Society are invited. Title: "Potentially Destabilising or a Window on the Regime? The 2012 Parliamentary Elections in Ukraine"
The event was postponed due the illness of the speaker. Elections of the new committee and discussion of the society plans. Come by and join us for a drink, meal and entertaining discussion! It's the beginning of a new term, new study year. to get to know people and just have fun. "The Oxford University Student Union Freshers' Fair is the event of 0th week. Packed with stalls showing the best, biggest and weirdest of Oxford's student life, it's got something for everyone. For new students its the only place to truly kick-start your time at Oxford by getting involved in the massive range of student activities on offer."